The amount of methamphetamine attributable to Sayers was approximately 756 grams, which Judge Conley described as a conservative estimate. MADISON -- Scott C. Blader, United States Attorney for the Western District of Wisconsin, announced that Simon Sayers, 42, Bayfield, Wisconsin, pleaded guilty and was sentenced yesterday by U.S. District Judge William M. Conley to 90 months in federal prison for conspiring to distribute methamphetamine. The amount of methamphetamine attributable to Sayers was approximately 756 grams, which Judge Conley described as a conservative estimate. Sayers’ role in the conspiracy included wiring money to the California source of methamphetamine and accepting packages of methamphetamine in the mail. Sayers also distributed methamphetamine for a profit. Judge Conley stated that almost all of this methamphetamine was distributed on the Red Cliff Reservation. Simon Sayers and three other individuals were charged for their roles in this methamphetamine distribution conspiracy. Tyrone Butterfield, Ryan Witter, and Rita Witter are scheduled to go to trial before Judge Conley on January 14, 2019. Rita Witter and Ryan Witter are mother and son. The charge against Sayers was the result of an investigation conducted by the Red Cliff Police Department; Wisconsin Department of Justice Division of Criminal Investigation; U.S. Postal Inspection Service; Drug Enforcement Administration - Madison, Wisconsin and Fremont, California; Bayfield County Sheriff’s Office; Ashland Police Department; and the Fremont (California) Police Department. The prosecution of the case has been handled by Assistant U.S. Attorneys Diane Schlipper and Darren Halverson. MADISON -- Scott C. Blader, United States Attorney for the Western District of Wisconsin, announced the unsealing of an indictment charging four people with crimes related to the distribution of methamphetamine. The indictment was returned on May 30 by a federal grand jury sitting in Madison and was unsealed June 6. 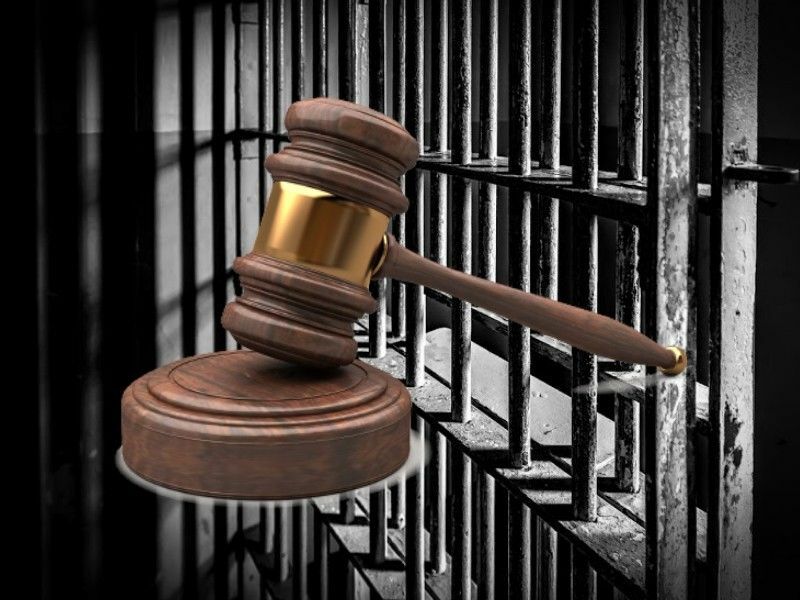 The indictment charges Tyrone Butterfield, 39, Bayfield, Wisconsin; Simon Sayers, 42, Bayfield; Ryan Witter, 35, Two Rivers, Wisconsin; and Rita Witter, 68, Fremont, California, with conspiring to distribute methamphetamine and to possess methamphetamine with intent to distribute. The indictment alleges that the conspiracy operated from June 2017 to May 18, 2018, and that the amount of methamphetamine attributable to Tyrone Butterfield, Simon Sayers, and Rita Witter was 50 grams or more. In addition, Butterfield is charged with distributing methamphetamine on March 22 and March 30, 2018. Sayers is charged with distributing methamphetamine on April 10, 2018, and Rita Witter is charged with attempting to distribute 50 grams or more of methamphetamine on May 18, 2018. Rita Witter and Ryan Witter are mother and son. The charges in this case are the result of a joint investigation by the Red Cliff Police Department; Wisconsin Department of Justice Division of Criminal Investigation; U.S. Postal Inspection Service; Drug Enforcement Administration- Madison, Wisconsin and Fremont, California; Bayfield County Sheriff’s Office; Ashland Police Department; and Fremont Police Department-California. Sayers and Butterfield were arrested on May 18, 2018. They made initial appearances in federal court in Madison on May 21. Their next appearance dates have not been set. Ryan Witter is in state custody; his initial appearance in federal court is scheduled for June 21, 2018. Rita Witter was arrested in California on June 6, and will make an initial appearance in federal court in Oakland, California. Her first appearance in federal court in Wisconsin has not been set. The charge alleging 50 grams or more of methamphetamine has a mandatory minimum penalty of five years and a maximum of 40 years in federal prison. All other charges in the indictment have a maximum penalty of 20 years in federal prison. The prosecution of this case is being handled by Assistant U.S. Attorney Diane Schlipper.